for Comprehension and Grasp of Big Events. Encholerium ( En-ko-leer-ree-um ) are highly ornate plants that are native to Brazil. 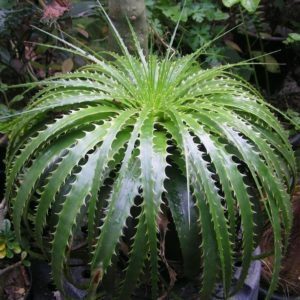 The genus is named after the Greek words ‘enchos’ ( spear ) and ‘leiron’ ( lily ) which is an interesting description as the plants little resemble a lily. Interestingly, the name ‘Tears of the Sun’ came to me while working with this flower and is an analogy to ‘solar flares spewing from the sun’. Perhaps a reference to an ancient memory stored in nature. Botanical Archetype – COMPREHENSION, Decongestion, Decompression of Mass Consciousness. Nature of Issue – CONGESTION, Compilation, Compression of Consciousness. Unimaginable, unprecedented or massive event. Horrific or catastrophic events that are too big to process mentally or emotionally. Sum-of-all-Fears – the horrible feelings that result when all of your emotional issues are mixed together. + Decongestion, Decompression of Mass Consciousness, Decompress, Digest, Grasp, See the Bigger Picture, Comprehend, Make Sense of the Situation. – Congestion, Sum-of-all-Fears, Catastrophic, Monumental, Massive, Unfathomable, Incomprehensible, Unimaginable, Incredible, Too Big, Stored Shock. Lesson – Your spirit lives above all human experiences. There is no human experience that the mind cannot grasp. Encholerium help you to decompress large events and break them down into individual pieces so you can relate to them. Encholerium help you to remain calm, clear and level headed during massive events. Encholerium combine well with Genus Acanthostachys and Neoregelia. 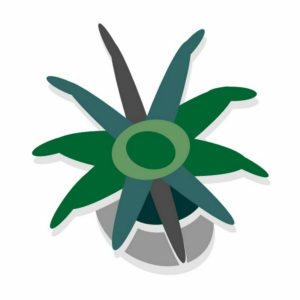 This is the botanical symbol for genus Encholerium. It is found in all of our books, clinical manuals, flower notes and charts.